A sign that humans are becoming less sturdy, or just a weird story about a rare skin condition; anyway you look at it, Ken Walker, a doctor from the UK, got the short end of the stick. And no, he won’t necessarily be playing fetch with his wife in the backyard anytime soon. He developed one of many different varieties of porphyria after being exposed to sunlight for a long period of time on vacation with his wife. At first, he thought it was just tan. Then his fingernails, and the skin on his hands started er.. coming off. Not to mention the excessive hair growth. ““In my particular variety of porphyria, called porphyria cutanea tarda, one of the enzymes needed to make haemoglobin – the pigment that gives blood its color – was running low in my liver. Another pigment was trying to be haemoglobin, but hadn’t quite made it and was sloshing around in my system.” Walker tells the Mail, explaining that, somehow, he had been spared the embarrassment of extra pigmentation in the eyes and on the teeth. However, he was still sensitive to direct sunlight, as it was this what made him lose his nails, and had already started to grow more facial hair where he had none before. “The cause of my condition was quite simple – too much booze. Even though I didn’t think I had been drinking that much, it was more than my liver could cope with. For a few years up to the sunny holiday that triggered my symptoms, I’d been downing increasing quantities of wine, despite my wife’s protests that I was drinking too much. Dependence on alcohol is easy to deny, especially given that alcohol is one of the best de-stressers known to mankind.” Walker says. All right, kids, what have we learned today? 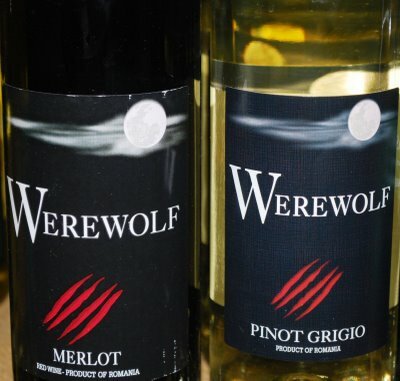 For all of you constantly asking how to become a werewolf, basically, all you have to do is completely destroy your liver with too much booze. Those of you who’d rather not join the circus, lay off the booze. Too much alcohol can cause a lot of health problems, not just becoming a werewolf.